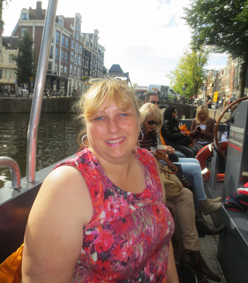 I started in travel by working for an airline, when they moved from Stansted to Luton I went on to work for a travel agency and once I had gained some experience, I then join Premier Travel in 2008. I love the fact they are an independent agency, and can offer a much greater range of products than several others. I love the variety, one day you will be tailor making a holiday to the Far East or Alaska, and the next day a city break to Europe or within the UK. Canada (Toronto, Niagara, Ottawa) America (California, Las Vegas, Florida and New York) Russia (Moscow and St. Petersburg) Italy (Venice, Rimini and Sorrento) The Canary Islands (Lanzarote and La Palma) The Balearic Islands (Majorca, Ibiza and Formentera) Greece (Rhodes, Corfu, Lefkas and Halkidiki), Portugal, Bulgaria, Romania, mainland Spain, Jersey, Skiing in Finland, Italy and Austria; various cities around Europe including Germany - Berlin, Austria – Salzburg, Belgium – Bruges, Czech Republic – Prague, Denmark – Copenhagen, Estonia – Tallin, France – Paris, Hungary – Budapest, Ireland – Dublin, Italy – Venice, Sorrento, Rimini; Malta, Holland – Amsterdam, Sweden – Stockholm and Gothenburg and UK – Edinburgh; and I have just returned from a Baltic Cruise. My favourite has to be Las Vegas, it fun and vibrant with so much to do and see; the Hoover Dam and Grand Canyon are two of the iconic must-see places to go in Vegas! The big named stars performing at the shows are also amazing to watch, and of course the casinos! The top of my wish list has to be Vietnam and Cambodia, I would love to experience the different culture and visit the temples. I would also love to go to Alaska – I want to see the wildlife and the icebergs; the scenery there looks amazing. My next trip is Riga and I have Vietnam and Cambodia now booked for 2016! My favourite memory has to be flying in a helicopter over the hoover dam, into the Grand Canyon and then landing at a ranch and having lunch with the cowboys. Don’t forget your travel adaptor, and I always borrow a guide from the library as there are often tips and recommendations in them that you don’t know about. I will listen to your requirements to find the best holiday for you, and if it’s a place I have been to myself then I will try to recommend suitable hotels and excursions.